You must be a member of the Washington, D.C. Professional Networking Group to attend this activity. Would you like to join this group? This is a black tie ball in the best Russian imperial traditions. 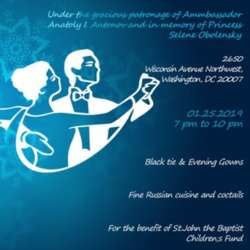 Get dressed up, enjoy Russian food and dance, both classic ballroom and modern disco.